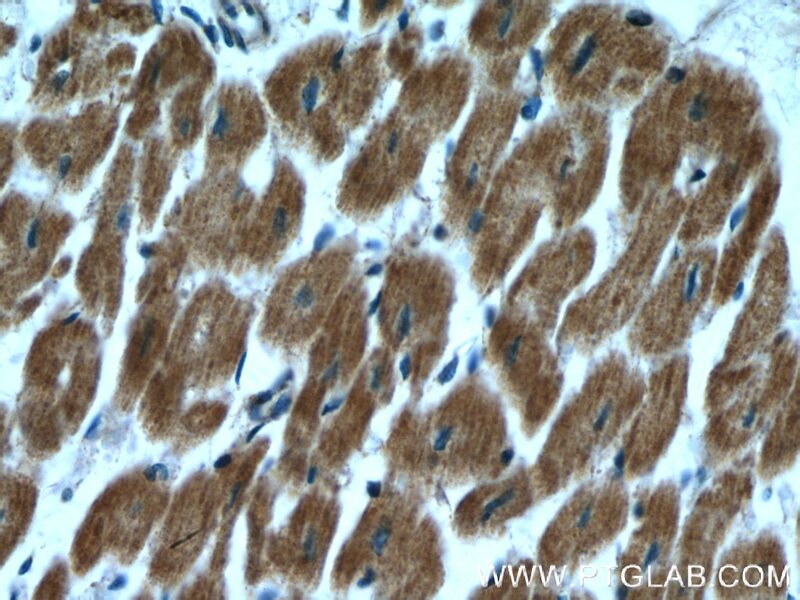 Immunohistochemical analysis of paraffin-embedded human heart tissue slide using 14895-1-AP( RBX1 antibody) at dilution of 1:200 (under 10x lens). 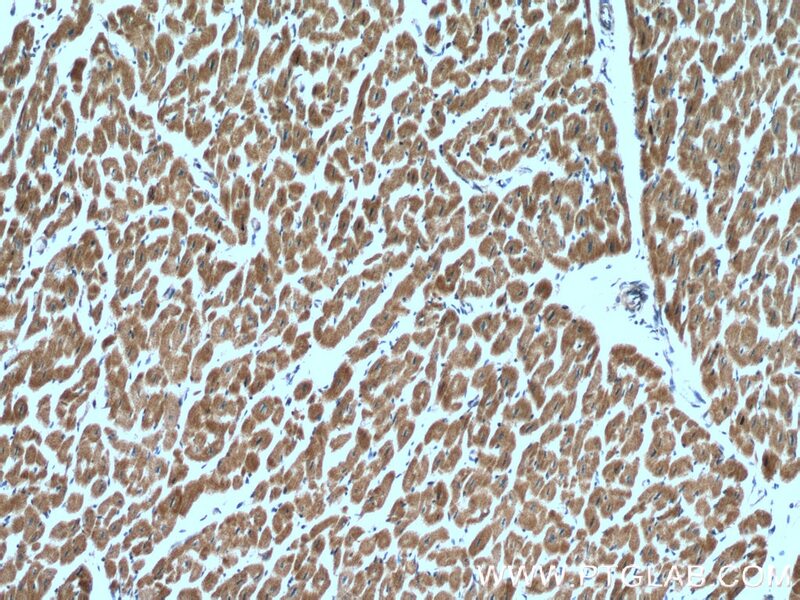 Immunohistochemical analysis of paraffin-embedded human heart tissue slide using 14895-1-AP( RBX1 antibody) at dilution of 1:200 (under 40x lens). 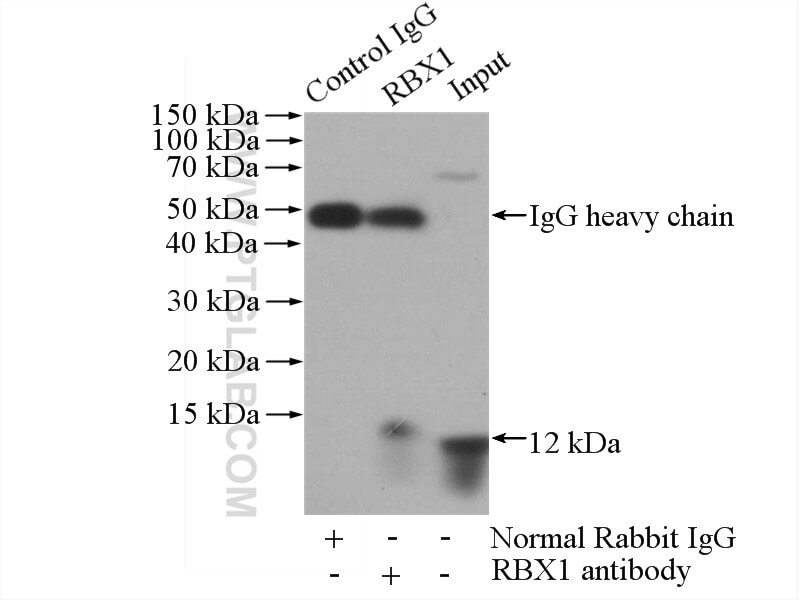 IP Result of anti-RBX1 (IP:14895-1-AP, 4ug; Detection:14895-1-AP 1:500) with HeLa cells lysate 1520ug. RBX1(RING-box protein 1) is also named as RNF75, ROC1 and is a requisite component of the multi- subunit SCF family E3s36–40.It mediates the ubiquitination and subsequent proteasomal degradation of target proteins, including proteins involved in cell cycle progression, signal transduction, transcription and transcription-coupled nucleotide excision repair. Bcl-3 regulates TGFβ signaling by stabilizing Smad3 during breast cancer pulmonary metastasis. Expression pattern and functional analysis of the two RING box protein RBX in spermatogenesis of Chinese mitten crab Eriocheir sinensis. Cullin1 binds and promotes NLRP3 ubiquitination to repress systematic inflammasome activation.